Junpeng was just five months old when he entered Half the Sky’s Infant Nurture Program and met Nanny Shang. The first time she held the little boy, who was developmentally delayed, in her arms, she told him softly, “I will take very good care of you.” It didn’t take long before he was firmly attached to her. When she entered the room, his face would light up. When he was tired or irritable, only she could calm him with hugs and kisses. When she paid attention to other children, he was very jealous. But when she danced with him, he would laugh so hard you could see all six of his brand new teeth. He was no longer alone in the world. 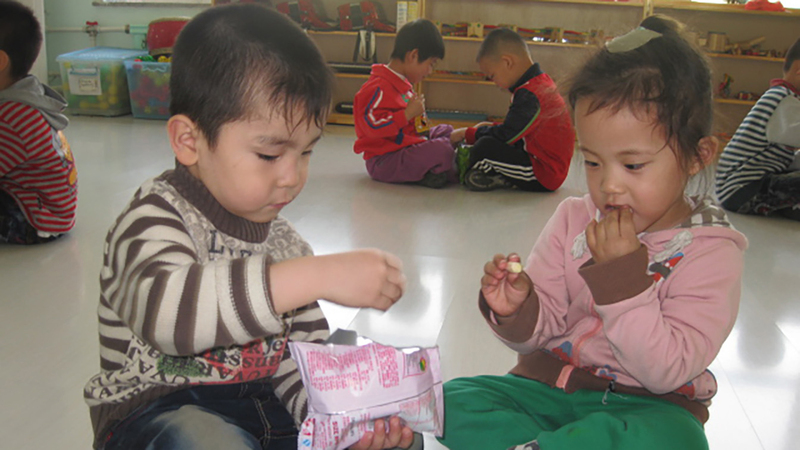 Two years after entering the institution, Junpeng was enrolled in HTS’s Little Sister Preschool Program. He was growing up, but it was hard to be in a brand new environment and he missed his beloved nanny. When his teacher tried to talk to him or get him to engage in school activities, he did not respond, only stared at her with eyes that were wide with fear and cried. Then, Junpeng joined HTS’s Family Village Program at his institution. Finally, he had parents and siblings. Just like many children in biological families, he attends preschool during the day. After school, his mom comes to get him and he shows her his artwork. He watches cartoons with his siblings and plays with his father. Joining his family transformed Junpeng. Before long, his teacher started noticing changes too. Soon he began to express his feelings with language rather than gestures, such as “I want,” “I don’t want,” or “Mom is here!” When he needed help, he was able to ask his classmates and his teacher for what he wanted. 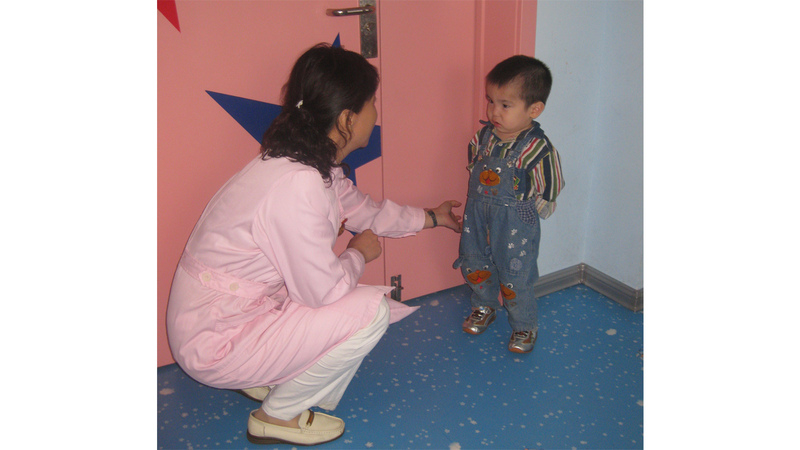 These days, three-year-old Junpeng smiles a lot and is eager to display his accomplishments. He can do arithmetic problems correctly. He can recite many ancient Chinese poems and has become more confident when speaking in public. He is always the first one to say “Please.” When he receives encouragement or awards, he smiles shyly and says “Thank you.” Now, he loves to play with other children and enjoys the pleasures of sharing. 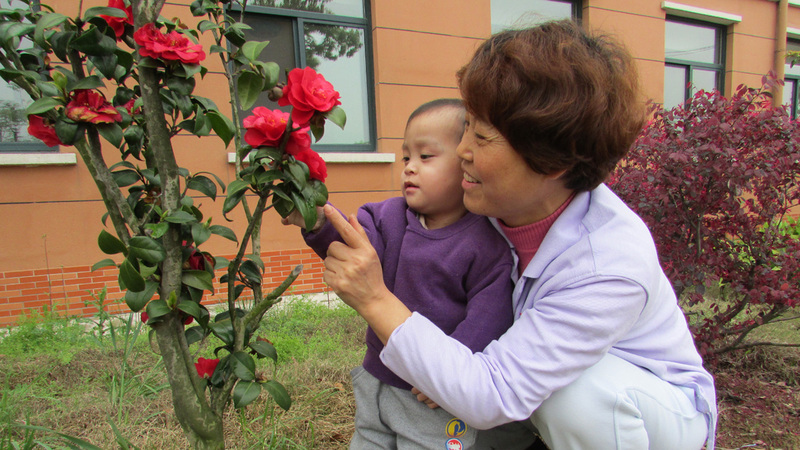 With their love, Junpeng’s nanny, his teacher, and his family have taught him how to love.